11.5x9.5x5 ceramic clock. In very good shape. Colors are very vivid - some wear on the gold accents but generally very good. The Roman numerals are are intact except for some peeling of XII. This is an antique early 20th century, circa 1910, Edwardian era mantle clock. The clock works were built by the American clock company, Ansonia in New York. 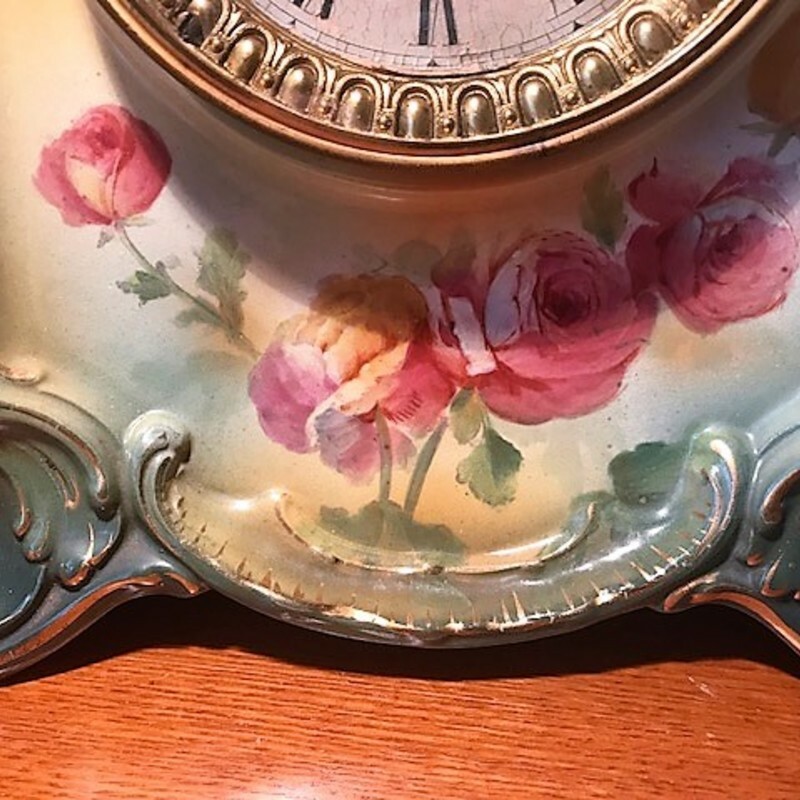 The clock case is molded and polychromed porcelain with transferprinted floral decoration that was produced in Germany by the Franz Anton Mehlem firm in Bonn. The clock casing model name, Le Sedan, is impression stamped on the backside as well. These clocks sold for significantly higher a few decades ago and the market on these was further impacted by the Recession. There is a hairline on the lower backside which does impact value. The estimate factors in the condition issue is based on actual recent past recorded auction sales of comparables. Retail 'asking prices' can be higher and vary.